Vivo announced during its product launch at Marina Bay Sands Expo and Convention Centre that Singapore will be the first in Southeast Asia to retail the X21 flagship smartphone. 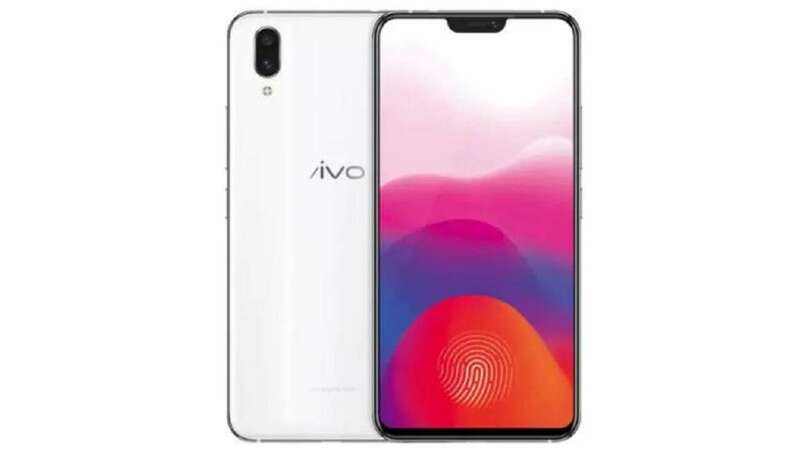 “Vivo is pleased to offer the X21 which carries a world-first fingerprint technology along with AI features to provide users with an intuitive and enhanced mobile experience.,” said Vivo Singapore chief executive officer Liu HongBin (刘洪斌). The unique aspect of the Vivo X21 is that it replaces the rear fingerprint sensor with an In-Display Fingerprint Scanning Technology. This allows the sleek and unified design of the smartphone to be preserved without the need for a rear fingerprint sensor. With mere a flick of the wrist and a press on the screen to unlock, this convenient and seamless process is intuitive for any user. Other than In-Display Fingerprint Scanning Technology, the X21 also offers upgraded facialrecognition technology with Face Access that scans users’ facial features for enhanced security. The Vivo X21 has a 6.28-inch 19:9 FHD+ FullView Display that features a super slim notch and 1.66mm side bezels, achieving a 90.3% screen-to-body ratio while providing a wider viewing experience compared to other similar-sized phones. Aside from that, the X21 has ditched the metal body for a new 3D glass back cover. Every arc and curve on the back cover are ergonomically optimized to ensure comfort in your hand, with only 3.1mm thick in the middle. More than just smooth to the touch, the X21 uses a new color-blending technique, which creates a unique luster for an elegant look. In terms of photographic capabilities the X21 features 12-Megapixel (24 million photographic units) front and rear cameras with Dual Pixel Sensors. The secondary rear camera is 5-Megapixel. Thanks to the larger photographic area of each pixel, the X21’s camera significantly boosts picture clarity. Vivo also added a AI Scene Recognition feature that is said to not only identifies night, sports, vibration or back light scenarios. It then actively adjusts photography settings and effects to make it easy for the user to capture a great photo. Vivo’s AI Face Beauty and AI HDR features make a return on the X21.With AI Face Beauty learning the user’s specific preferences for beauty, it can generate custom beautification effects tailored to each user. The X21 is powered by the Qualcomm Snapdragon 660 chip together with 6GB RAM and 128GB of internal storage. While gaming, the system is said to automatically adjust the CPU to optimize performance according to the game’s resources for a smoother gaming experience. The Game Mode on the X21 even prevents accidental touch operations, ensuring gamers only make the moves they intended. The Vivo X21 will be available in black in Singapore from Saturday, 5 May, at a recommended price of $799 (without contract) through telcos M1 Limited (M1), and StarHub, and authorised dealers.